Last year we filmed a piece for World of Tennis which was broadcast on BT Sport. Filming took place at the Edgbaston Archery & Lawn Tennis Society, the oldest lawn tennis club in the world, and the Ampton Road house, former home of Augurio Perera. 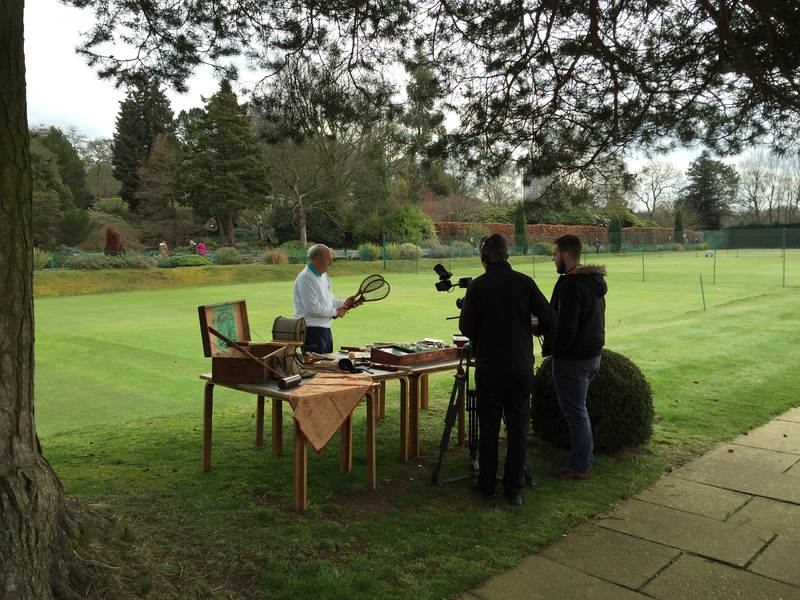 Chris Elks explains the finer points of early racquets to the film crew at Edgbaston Archery & lawn Tennis Society. This entry was posted in Ampton Road, Edgbaston Archery & Lawn Tennis Society, History of Lawn Tennis, Perera. Bookmark the permalink.